The cold forming process in conjunction with in-house secondary operations provides Skach Manufacturing Company the capability of producing a wide variety of products. The highlighted shaft is used in an electronic switch. 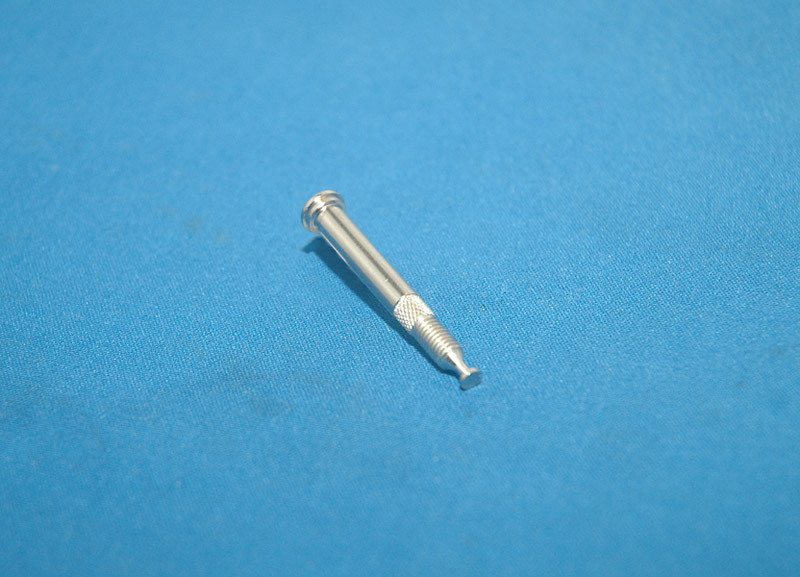 The customer initially dismissed a cold formed part because of the numerous secondary operations needed to complete the part. Skach’s design team successfully cold formed a blank with secondary operations at a lower cost to the screw machine alternative. A blank is first cold formed out of CDA 260 brass. Secondary operations include knurling, trimming and thread rolling. The 1.745" long shaft is then finished with a nickel plate. Diameter tolerances are held within +/- .001" and the concentricity tolerances are manufactured within +/- .002". Don’t dismiss cold forming as a cost reduction if numerous secondary operations are required. 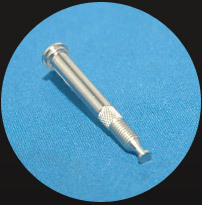 Thread rolling, knurling, grooving, trimming, tapping, and drilling can be incorporated in the manufacturing process with a high degree of efficiency. Our experience in successfully converting screw machine parts to cold formed parts has resulted in a significant cost savings to our customers. Come to a company that can deliver quality parts, on time, and at a competitive price. Contact us directly to learn more about Skach or to request a quote.